Is your car failing to start properly over and over again? The cause of this may be a flat battery. Yes, a battery with no electrical charge is often the main cause of a non-start. A car’s battery is an overlooked item that many drivers tend to forget about. Although there is no specific rule as to how often you should check the condition of your car’s battery, regular checks will give you a peace of mind that your battery is in good condition all the time. Whenever you notice your car isn’t starting as easily and quickly as it usually does, it may be a sign that your battery isn’t performing as it should. In this case, it is important that you check the condition of your battery before it is too late and prevent having your car fail you when you need it the most. The best way to find out whether your battery is in good condition is by performing battery testing. Battery testing is nothing more than a measure of the energy the battery can store. This test will help you determine if your car’s battery is nearing the end of its usefulness and whether you need to replace it. It can even help you locate weak cells and faulty intercell connectors. The best and most convenient way to test your batteries is through using a battery tester. Thanks to the advancements in technology, a battery tester is today a tool that every one can have in their garage. Digital tester models are the most popular ones as they offer numerous advantages over traditional methods. One of the greatest advantages of digital battery testers is their ability to effectively access discharged batteries. 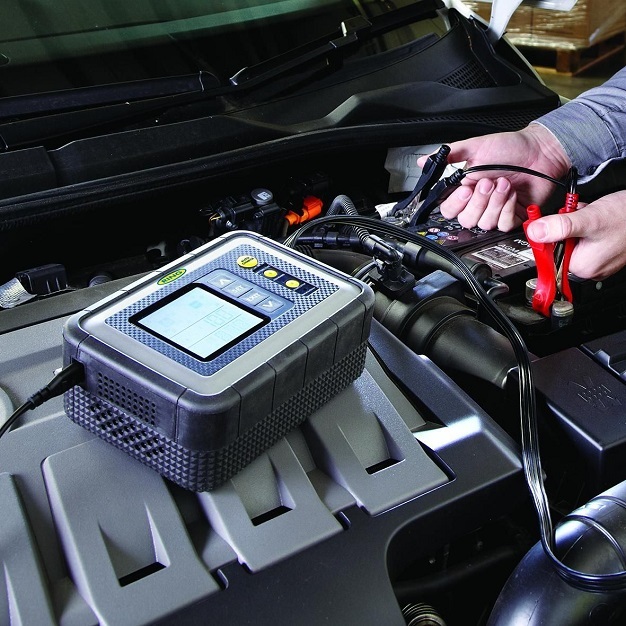 With traditional load testers, the battery needs to be fully, or nearly fully charged so an accurate assessment of the battery capacity and condition can be done. Charging an empty battery can take up to 60 minutes and you will have to wait all this time before the condition of the battery can be determined. This doesn’t happen with digital testers which are able to provide an accurate assessment of the battery condition even when the battery is ’dead’. Another significant advantage of digital testers is that they are calibrated to properly assess different types of batteries found in many modern cars. Over the lest years, major changes have been done regarding car batteries’ construction and composition. Digital meters have the ability to test different types of batteries and offer an accurate assessment of the battery condition. Most digital battery testers available on the market are quite easy to use. Plus, they all come with detailed instructions on how to conduct a test. For further information on how to perform a reliable test, you can always turn to the internet!